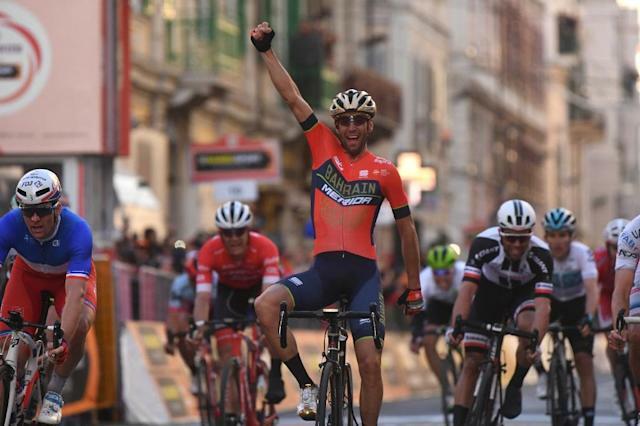 Milan (AFP) - Italy's Vincenzo Nibali warned that his confidence was growing as he returns to defend his Milan-San Remo title in the first 'Monument' spring classic of the season through north-western Italy on Saturday. The 2014 Tour de France winner, nicknamed 'The Shark', made a late solo break on the final ascent of the Poggio to win the 291km (181 mile) race last year. Italy's Elia Viviani has been the quickest sprinter this season with his Deceuninck–Quick-Step French teammate Julian Alaphilippe also in form, winning the Strade Bianche in Tuscany and two stages of the Tirreno-Adriatico.